Just4Today Sober Living received a $6300.00 grant from the UPS Foundation, which drives global corporate citizenship and philanthropic programs for UPS (NYSE:UPS). The grant has been used to secure computers to be placed in the recovery homes for members to do job searches, file resume', set appointments, gain computer skills, on-line education, and to communicate in our tech world today. The Just4Today Sober Living program is designed to offer recovery housing and supervision for both men and women quitting active addiction and attempting to set up a new life free of active addiction. Here members meet and settle consequences, participate in counseling, reestablish and repair family contacts, make appointments, find gainful employment, restore their health, and work a program to change the thinking to change their behavior. We have been in existence for 7 years and maintain 6 homes, became a 501(c)3 company in 2014, and no staff members take any pay. The UPS Foundation was established in 1951 and is based in Atlanta, GA. In 2017, UPS and its employees, active and retired, invested more than $118 million in charitable giving. "The UPS Foundation is honored to support the Just4Today Sober Living program," said Edwardo Martinez president of the UPS Foundation. And we here at Just4Today Sober Living wish to personally thank Ms. L. Harting and her group of volunteers who spent 50 volunteer hours painting the inside of one of our homes while landscaping two other homes one Saturday morning. The end game to RECOVERY is to be able to stay drug or alcohol free and be a contributing, happy individual living and working in a community. The money you provided, 45 million for Opioid addiction, already allocated is ear marked, for areas of TREATMENT. Viewing the selected entities chosen (3) in York County it was done by individuals who know little about full addiction recovery needs. At this point the money will go for getting the drug Vivitrol which blocks only opiates and alcohol. The rest of the millions will go to detox, rehab, counseling entities. The stark, sad realization with this decision, with seemly no input from front line professionals, is that once released from a 3-10 day detox center, being sent to a 10-28 day rehab program the individuals are still in need of structure, psychological services, and above all--safe, secure housing. It is proven time and time again through addicted individuals that they create higher expenses to the community by their repeated relapses, crimes, and thus relapses to sometimes the same rehab which can cost as little as $18,900 per month stay up to $40,000 per month. The cost of monitored, safe housing is less then $22.00 a day compared with the $675.00 per day in a rehab and more per day for detox, $875.00. Detox first--true, Rehab next, then to considered 6 month stay in structured recovery housing (check your own stated suggested 6 month stay from State Prison and county PO guidelines). What is being missed with this decision of allocation is that structured, clean, safe housing with rules and programs can minimize the number of relapses or deter relapses and decrease the repeat "rehab hoppers" as the addicted individuals call themselves while going from one rehab to another for a bed, 3 meals, and as place to "dry out" and rest or hideout from consequences. The argument here is that a full spectrum to recovery must be addressed for recovery or there is little success for lasting, sustainable recovery (9 out of 10 prisoners released return to PA prisons within one year). Addicted individual are just returned to their "triggers," their old enablers, and the drug areas they cannot escape from trying to recover. I do not expect much from this letter as we already were in Senator Scott Wagner's office last Monday and on Tuesday met with representatives Kristin Hill and Saylor when they indicted where all this money went even after we taught them the misgivings of present approaches as being short-sighted and not providing a final, cheaper and more successful solution for recovery. Yo must already be aware that the "Treat and Release" practice of general hospitals is not working as people are still dying later, even within hours of being released. I suggest you look at Health Choices or also known as The Bridge Support for supplementary recovery housing now in place in York and Adams County as a model supplying $400 PER MONTH toward recovery housing which is so much cheaper then the mentioned $675 PER DAY stay in rehab (100 West Market Street Suite B-01 York PA 17401). Thank you for your consideration of this matter and I hope it can be properly addressed and corrected in future allocations to achieve the fullest possible recovery of our addicted children, sons and daughters at a much better cost factor and fuller success rate then the present approach. And please feel free to call on me for any input you feel necessary. Thank you. Larry Seitz, 77, was in college when he became an alcoholic. Harry Carnahan, 69, also was in college and drinking. Larry says, “I didn’t know it at the time, but (alcohol) made my life unmanageable. I couldn’t go anywhere without alcohol. I had to drink every day.” It took its toll; he dropped out of college after two and a half years. Seven years ago, Larry Seitz opened a home where others addicted to alcohol or drugs could live while going through recovery. Harry Carnahan was one of the first residents. The date he moved in is imprinted on Harry’s memory: Dec. 27, 2011. Together – with Larry as owner and executive director, Harry as facilities manager, and along with Larry’s wife, Theresa – they have grown Just4Today Sober Living to six homes providing safe, supportive, and supervised residences for recovering addicts. A 501(c)3, nonprofit organization, Just4Today Sober Living has four homes for men and two for women in Southern York County serving a total of 31 residents. The addicts are referred to Just4Today Sober Living from rehabilitation facilities, the prison system, their families, or themselves. The residents are certainly not coddled. There are 98 guidelines the residents must adhere to. That includes finding employment (Just4Today will provide job transportation) and becoming responsible for themselves. Following the 12-step Alcoholics Anonymous and Narcotics Anonymous program, there is a non-sectarian, but spiritual component to living in the homes; a recognition that there is a force stronger than one’s self. Just4Today Sober Living works on a bare bones budget. There are no salary expenses; Larry, Harry, and the other staffers are living on their pensions and/or Social Security. Income is from fundraisers and sponsorships. Expenses are the costs of leasing and operating the homes. They are “trying to make it a six-month program” for the residents to settle into their addiction-free lives and find employment. But there is no time limit; each resident is an individual and needs may vary. The residences are certified by the Pennsylvania Alliance of Recovery Residences and the National Alliance for Recovery Residences. Both men are hopeful that recently signed legislation – Senate Bill 446 – will allow the state to funnel some money to recovery facilities, but that could be two years away. 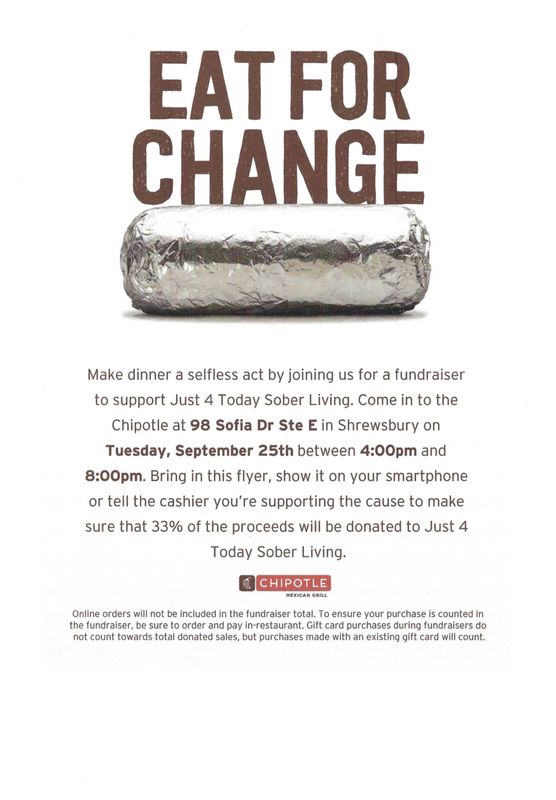 Additional information on Just4Today Sober Living is available by contacting Larry Seitz at (717) 495-2674, Harry Carnahan at (717) 887-7906, or Theresa Seitz, who is in charge of the women’s residences, at (443) 623-1413. Larry Seitz and Harry Carnahan are offering a fresh breath of life, free of alcohol and drug addiction. Gov. Tom Wolf signed a statewide disaster declaration on Tuesday for the state's heroin and opioid epidemic. According to the governor's office, the measure will "enhance state response, increase access to treatment, and save lives." The declaration is being characterized as the first of it's kind for a public health emergency in Pa. The measure allows the use of a command center at PEMA to track progress and "enhance coordination of health and public safety agencies," according to the governor's office. A Lancaster County couple is revealing intimate details of raising a son addicted to heroin and dealing with his death while at the same time, raising two other boys.